With the arrival of spring, blooming flowers and trees make an outdated roof seem like an aesthetic eyesore. There are several easy ways to detect whether or not your roof is in need of some minor fixes or should be replaced entirely. 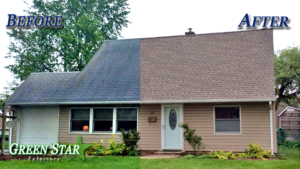 Most asphalt roofs have a lifespan of 12 – 20 years. Although your roof may be newer than 12 years, wear and tear from harsh weather may have a dramatic effect on certain spots. You may have recently purchased your home and are unsure of its age. 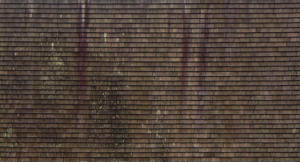 It’s important to take notice of any discoloration or balding tiles which is a common sign of an older roof. A leaking roof is one of the easiest ways to spot a problem. The leak may be from 2 potential causes, an aging roof or poor quality installation. Your roof is one of the biggest investments any homeowner makes. The quality of the work and materials used are best left in the hands of an expert. 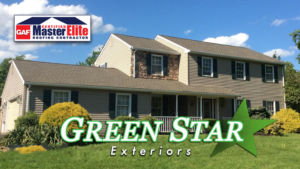 A GAF Master Elite roofer ensures that you are maximizing the lifespan of the roof. Check for cracked, curled or missing shingles. If these problems are persistent throughout the roof, it’s a good sign that more work is needed than just a simple repair. Any tree branches or limbs should be kept at a 5-foot minimum distance to avoid scratches and tears. During windy days the branches can easily be pushed into the roof causing damage. It’s important to add the obvious reason of avoiding a tree collapsing onto your roof.